The moth has reddish brown forewings each with two dark marks on the hind margin. 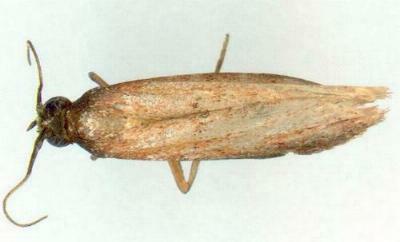 The hindwings are white shading to brown at the edges. The wingspan is about 2 cm. Volume 18 (1904), p. 117.